A special product from the LITHOFIN-Range for marble, natural and engineered stone (MN). Lithofin MN Wash & Clean is a high-yielding cleaning and maintenance concentrate, which contains active maintenance components and mildly alkaline cleaning agents based on natural soaps. 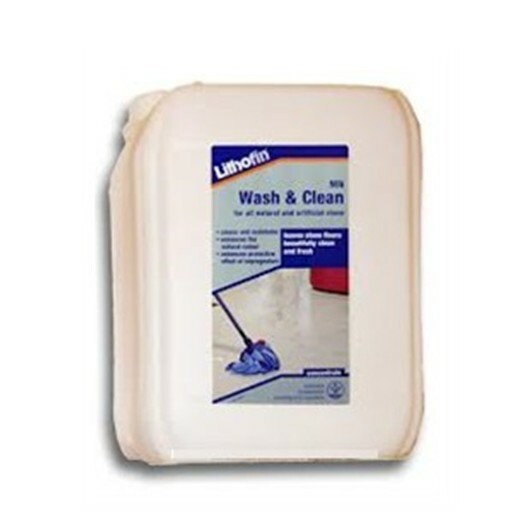 Lithofin MN Wash & Clean is always added to lukewarm water. One squirt (approx. 20ml) per 10 litres of water. In case of absorbent, dirty surfaces use a bit more. After wiping, allow the residues to dry on the surface, do not rinse with clear water. Use either a floor mop, cloth or cleaning machine for wiping. 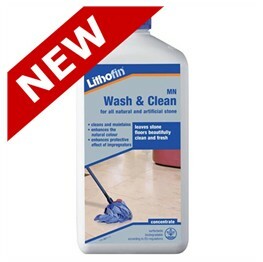 Lithofin MN Wash & Clean is a high-yielding concentrate and very economical.